SkB And Sellen collaborated closely to update Sellen’s headquarters, located in the growing South Lake Union neighborhood of Seattle. Large, private offices on both floors were transformed into a modern, open office workplace. The project began with a pilot test area for Sellen’s senior leadership, transitioning from private offices to open office. From there, the concept was repeated on the rest of the second and third floors. The new space was designed to meet current staff needs and provide flexibility for the future. It features ample focus rooms, conference rooms and gathering space, encouraging increased collaboration both within and across departments. 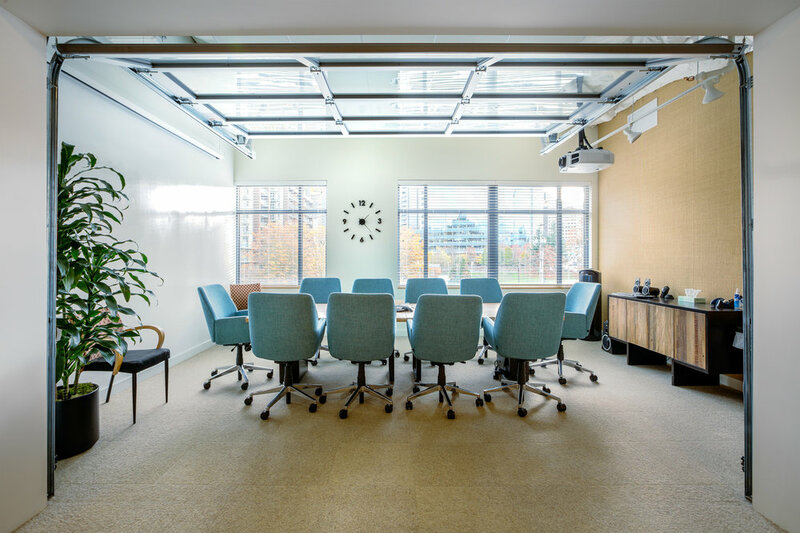 All work was completed while the building was occupied, requiring careful phasing, noise mitigation and air quality control measures from start to finish. The project was able to achieve significant time and cost savings through the production of less detailed drawings, which Sellen was able to take forward and refine in the field.